The Lions squad is packed with Welsh players. You wouldn't have guessed Warren Gatland was Wales coach would you!! But Wales' record against Australia doesn't make for pleasant reading. Sports spread betting experts Sporting Index price up 100+ markets on rugby matches alone. All these markets are updated in-play allowing the ability to react to the game’s action in the blink of an eye. 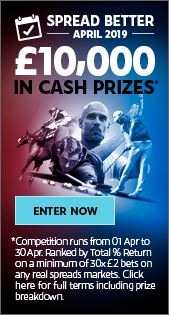 The pioneering Cash Out option means bettors can close a trade in-play; securing a profit or restricting a loss. 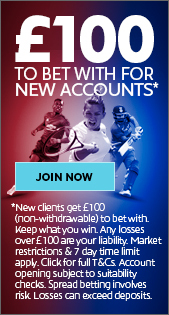 The sheer scale of opportunities for spread bettors is unsurpassed anywhere and makes spread betting on rugby a superior betting experience.